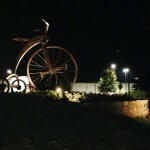 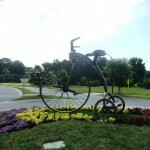 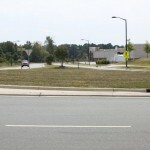 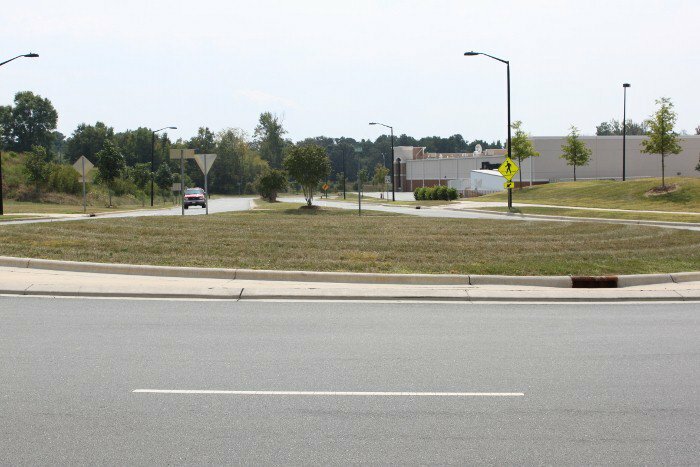 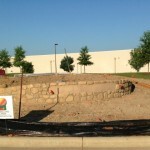 Former Boone Station Dr. project has been converted to New Leaf Circle at Boone Station Dr.. 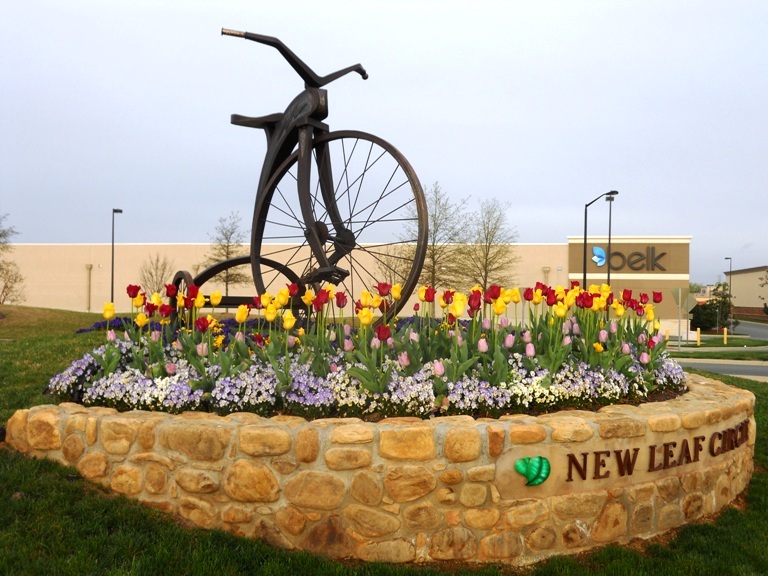 Through this project, New Leaf Society will continue the partnership with Alamance County Arts Council and the City of Burlington to establish artwork county-wide. 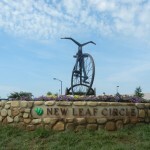 The Boone Station Dr. round about is now officially named ‘New Leaf Circle’. 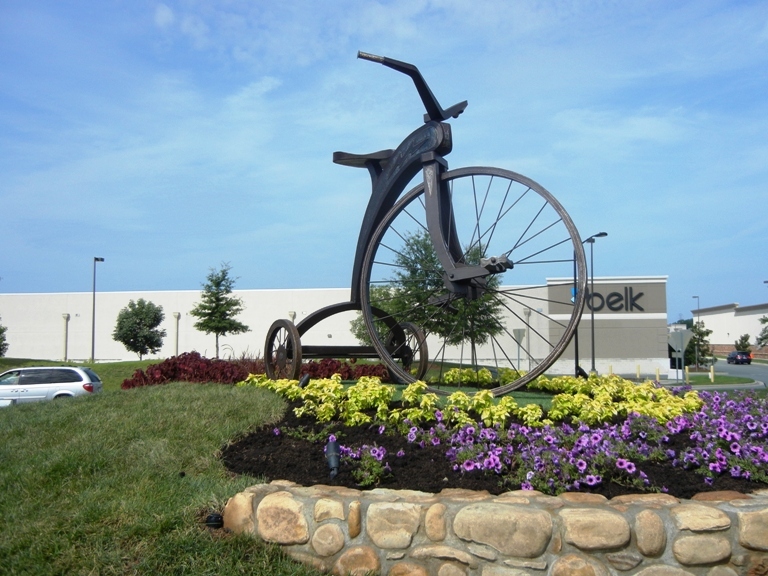 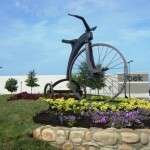 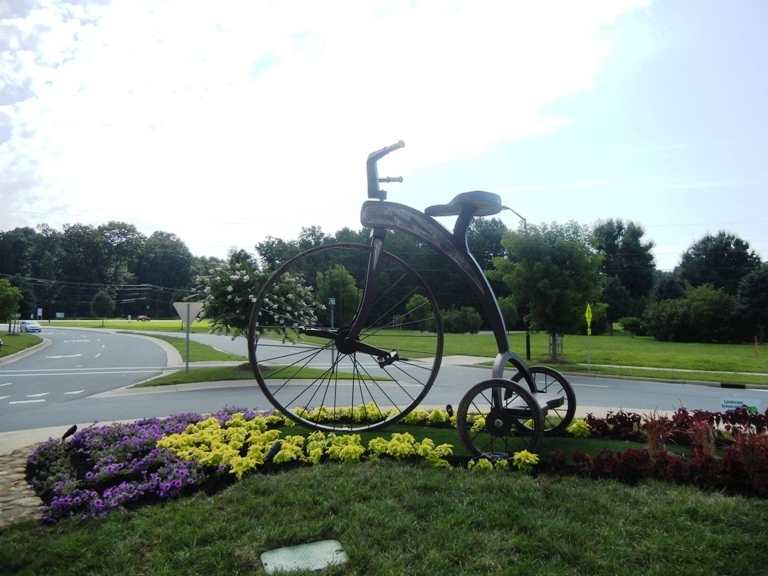 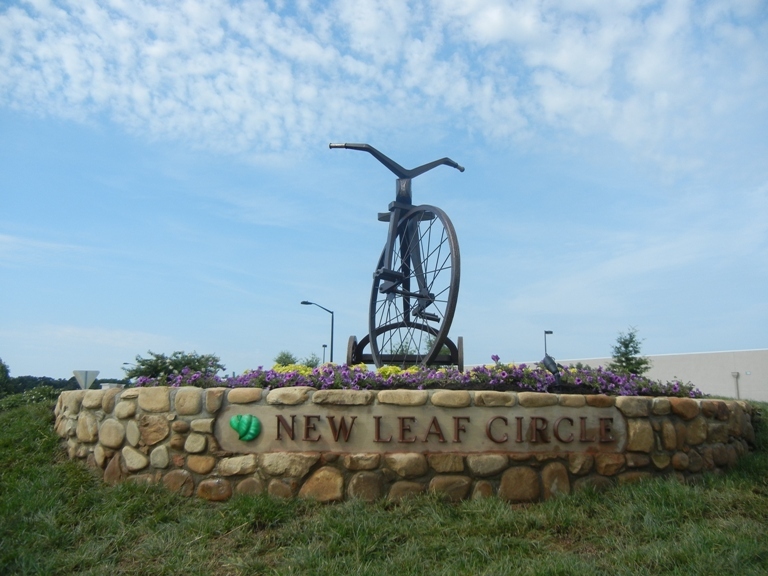 New Leaf secured the services of James “Jim” Davis, President of Sculpture in the Landscape from the RTP area, to make the newly named circle into an art piece. 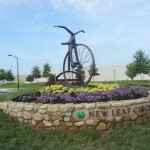 New Leaf purchased “Chasing the Wind” by sculptor Jeff Hackney from the annual Willow Walk event in June 2012. 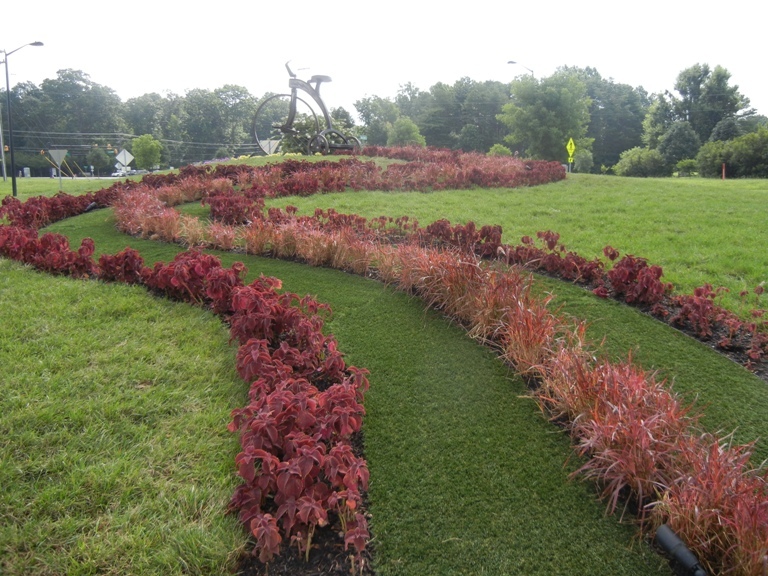 To highlight the artwork, we raised and offset the placement of the tricycle while creating a path of plants trailing from the art piece that engaged the whole circle. 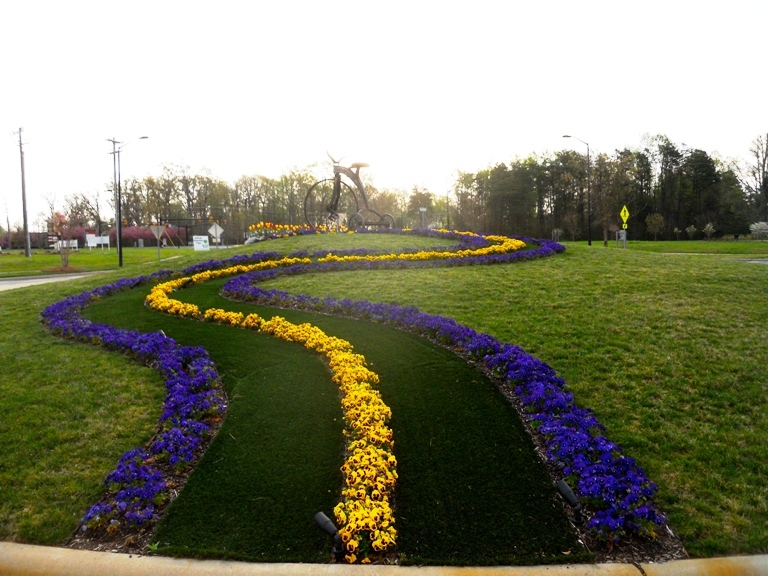 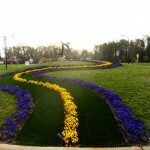 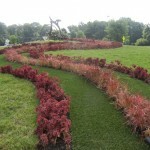 The path consists of three rows of seasonally changed plants and the background is simple green, irrigated grass. 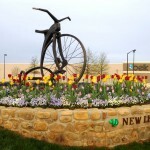 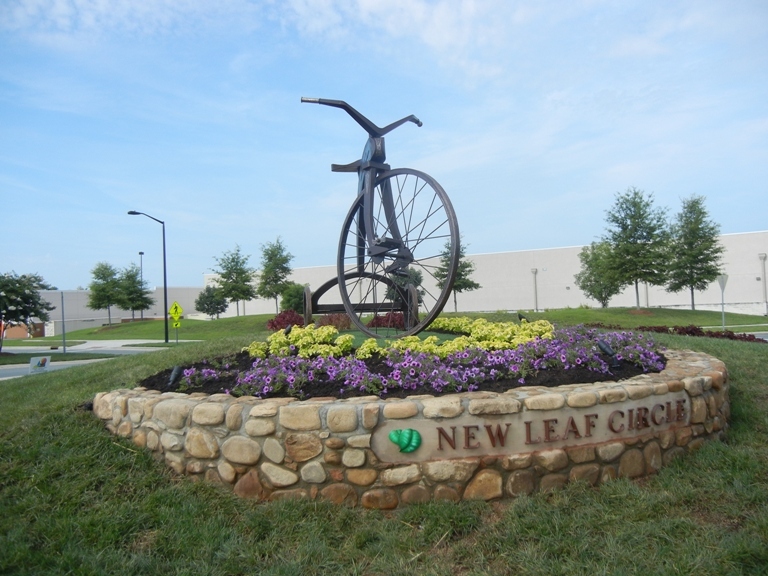 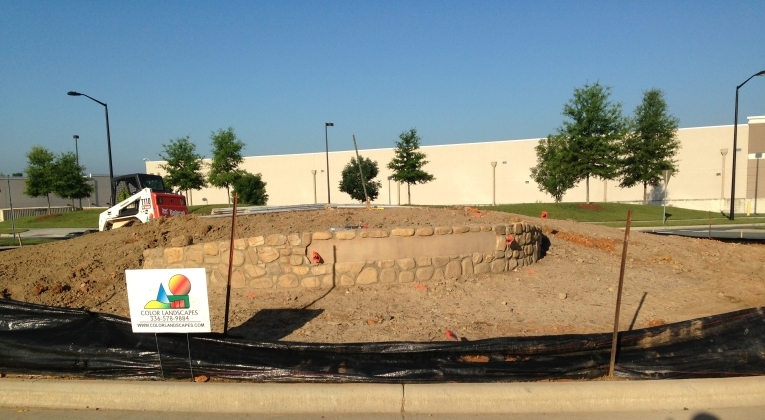 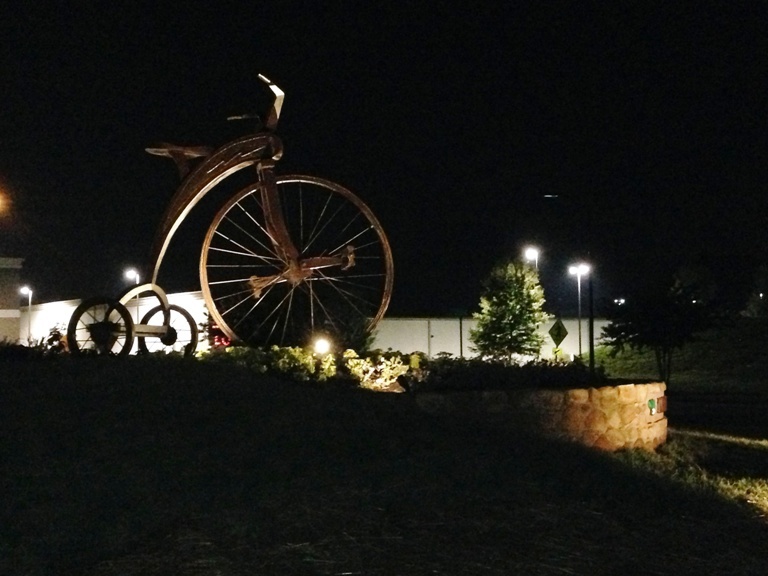 Additionally, the new name of the roundabout, New Leaf Circle, is displayed on a circular masonry wall that blends into the ground plane on each end.